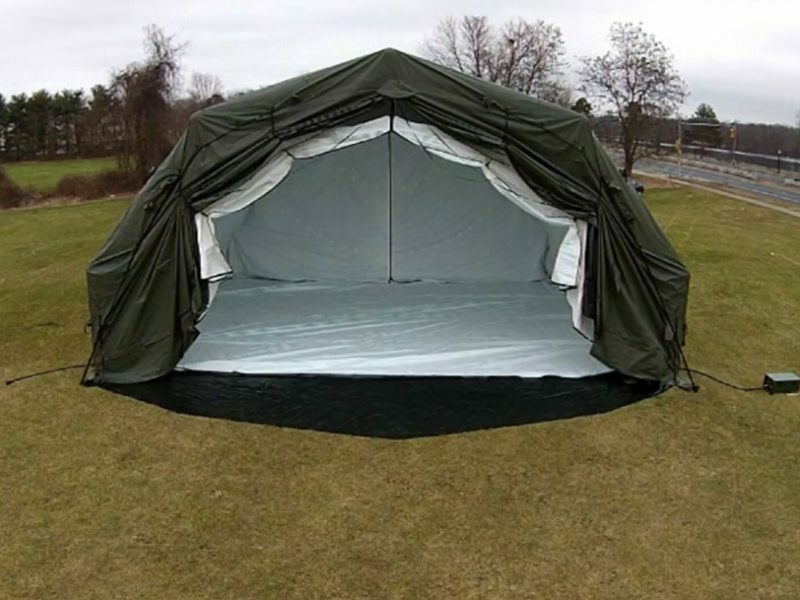 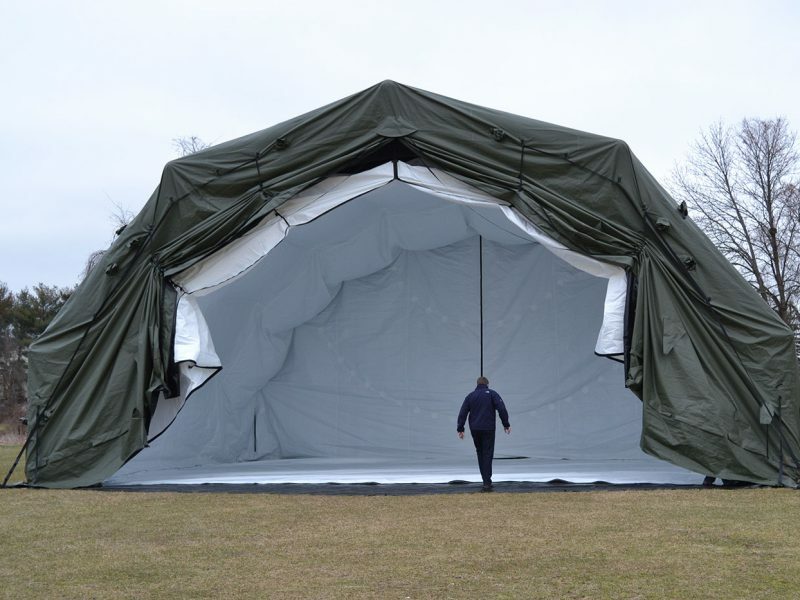 The 4000 Series Shelters have a span of 40 feet and a center height of 20 feet with lengths of 32 and 40 feet. 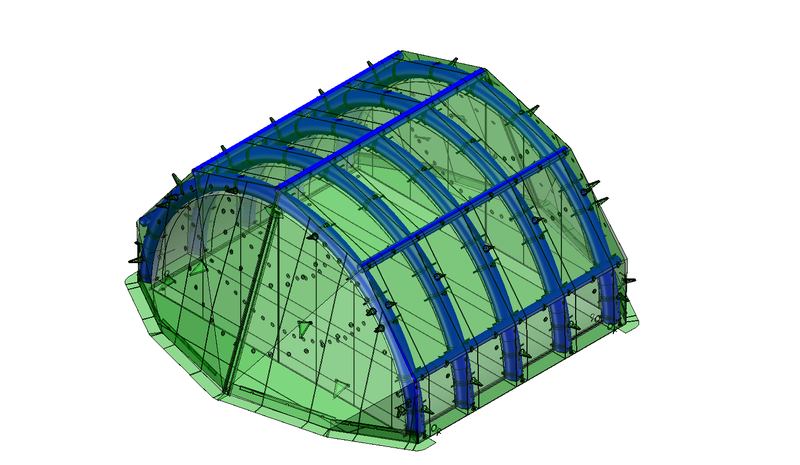 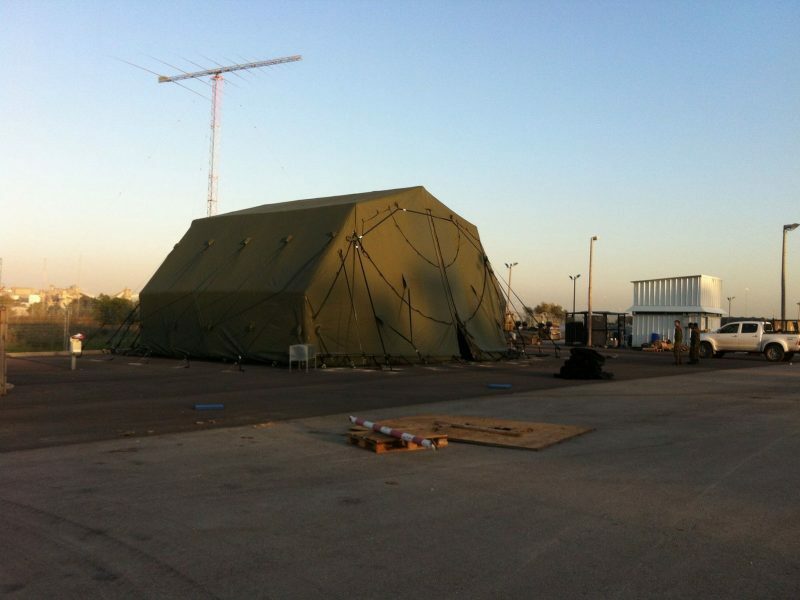 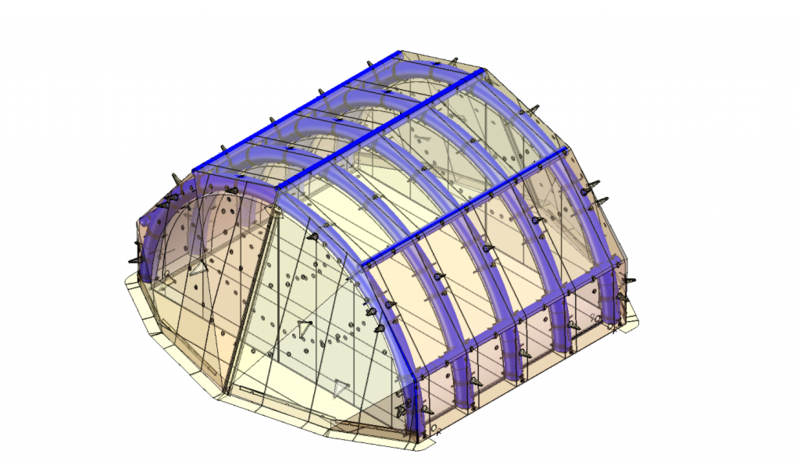 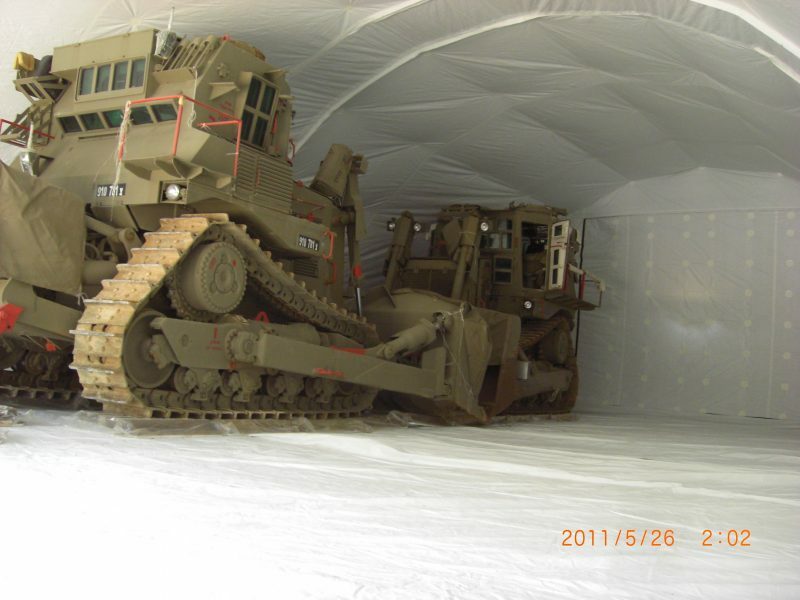 These shelters are primarily used for maintenance and long term storage operations. 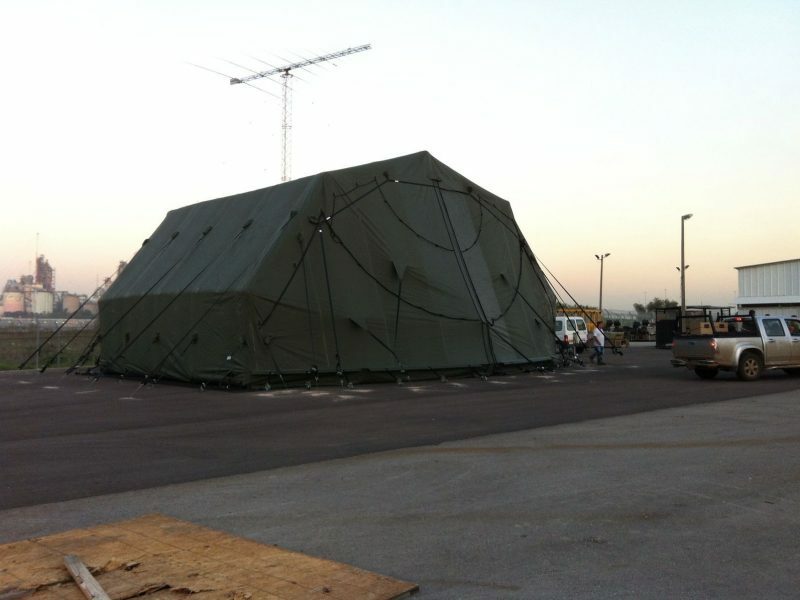 These units deploy in 30-35 minutes with just a few operators.